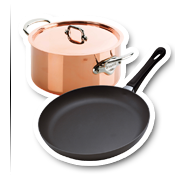 Swissmar is one of the leading distributors of housewares and cookware products. In addition to our growing selection of Swissmar products, we proudly bring the best European brands to the North American market. Since 1983, we have remained focused on our original pledge to bring you the "Gourmet Goods" and will continue to bring even more excitement and innovation as we offer you the world's best. For 30+ years we have been working hard to be your #1 source for quality Swiss Made peelers. 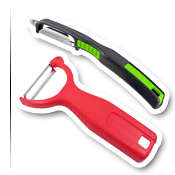 Our Swiss Classic Peelers are a must-have kitchen tool, and with the addition of our Straight Handle and NEW Y-Peelers we now have several Swiss-Made peeling options. 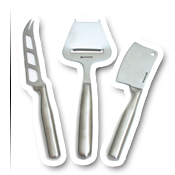 But we don't stop there, we offer an innovative assortment of essential kitchen tools that are sure to make any job easy. 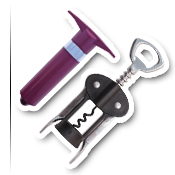 It all started with the revolutionary EpiVac vacuum pump, a cleaver tool for removing air from the wine bottle, preserving your wine for days. We now offer a selection of wine and bar accessories for all your serving and entertaining needs. We proudly feature the following brands: Swissmar and Nuance. Swissmar is proud to offer a complete range of Mills, in a variety of finishes and with a variety of mechanisms – we truly have a Mill to suit every need! 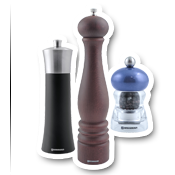 Swissmar Mills feature a variety of mechanisms, from the 'workhorse' a case-hardened steel pepper mechanism with consistent output from fine to coarse, to versatile ceramic mechanisms that can be used for pepper, salt and even dry herbs and spices. Fun to serve and enjoyable to eat, fondue is a great way to stir up excitement at your next dinner party. Delicious bread and cheese, tasty meat and broth, delectable fruit and chocolate...all these choices and more are easy to create and enjoy. 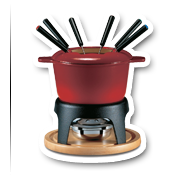 With dozens of beautiful, high quality models to choose from, it'll be easy to find a fondue set that suits your cooking needs - and fashion style. Storage solutions for single-serve coffee machine capsules Whether it's a regular coffee or a more complicated half-fat, no whip, light foam, macchiato, it is clear that everyone is embracing the single-serve coffee revolution! 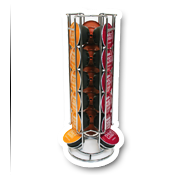 Swissmar CAPstore is the ultimate destination for capsule storage systems - Dolce Gusto®, Keurig®, or Nespresso, we've got you covered. Whether you are a professional or a home chef looking to take your meal preparation to the next level, we have the goods. Mauviel is a 6th generation family owned business manufacturing the highest quality products made from copper, stainless steel and aluminum. 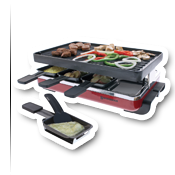 SCANPAN is one of the world's leading manufacturers of non-stick products and for more than five decades the company has produced Danish kitchenware of the highest quality and durability. Ask any chef and they will tell you that a good knife is their most valuable tool. 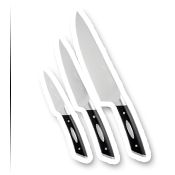 Knives are designed with a specific purpose in mind and choosing the correct knife is as important as selecting the right ingredients for a recipe. Choose wisely. We proudly feature the following brands: SCANPAN and Zyliss.